Nombre completo/ Apodo por el que quieres que se te conozca. / What’s your full name, and the nickname that you like to be known as. ¿De dónde eres? / Where are you from? ¿Por qué eres del Liverpool? / Why are you a Liverpool fan? De pequeño en el plus tenía acceso a Liga Inglesa. Campos embarrados, goles cantados con un “yessss”, Anfield rugiendo, Liverpool ganando Ligas. Algo más? También influyó que el último partido que vi con mi padre fue la final de Estambul. Murió 5 días después. Pero pude vivir “mi primera” Champions con el! When I was small, Canal Plus showed the English League. Muddy pitches, goals celebrated with a “Yessss”, Anfield roaring, Liverpool winning league titles. Anything else? The last match I saw with my Dad also had an effect, the final in Instanbul. He died 5 days later. But I was able to live “my first” Champions with him! Jugador favorito del Liverpool (u otro team) / Favourite Liverpool (or other team) player? Me quedaría con Gerrard por ser el fiel reflejo del “Liverpool Way”. Nadie mejor que él puede representar el sentir del aficionado defendiendo los colores reds dentro del campo. I would choose Gerrard for being the true embodiment of “The Liverpool Way. Nobody can represent the feelings of the fans better than him, standing up for the Reds’ colours on the pitch. ¿Por qué te gusta venir a Triskel? ¿Por qué Madrid Reds? / Why do you like to come to Triskel? 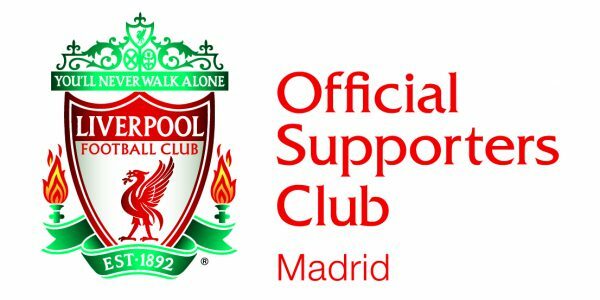 Why the Madrid Reds? Desde 2008, incluso antes de ser Peña oficial, ya sentí Madrid reds como parte de mi familia. Poder compartir esta afición por nuestro amado club con gente encantadora no tiene precio ni puede describirse con palabras. Y si hay cerveza de por medio, me siento en el paraíso. From 2008, even before it was an official supporters club, I felt like the Madrid Reds were part of my family. Being able to share this passion for our beloved club with fantastic people can’t be put in to words, it’s priceless. And if there is beer involved, I feel like I’m in paradise.